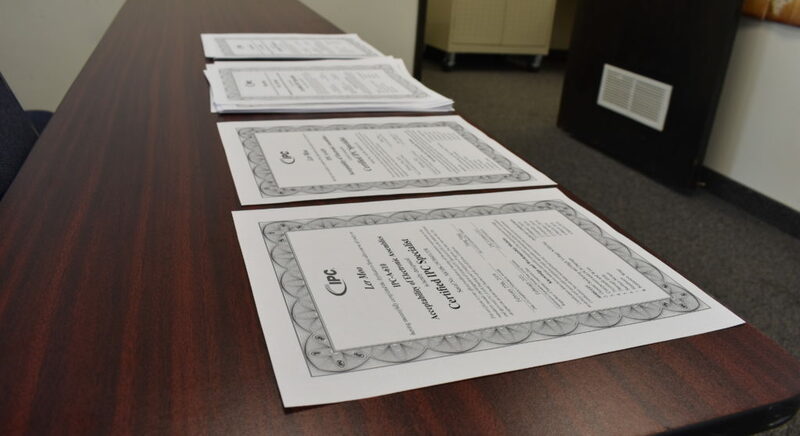 It’s been a busy month for graduations here at KOM! 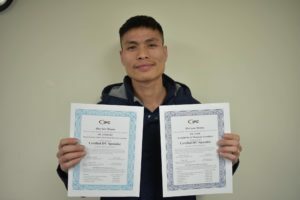 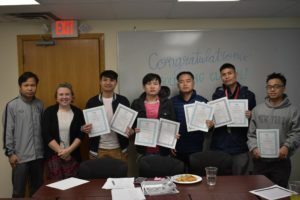 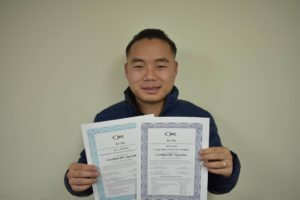 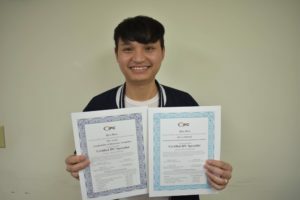 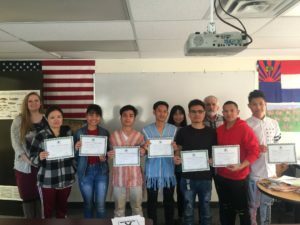 Both our Soldering Training Program and our Career Advancement Training graduated a fresh class of successful students, and KOM held graduation ceremonies to celebrate their accomplishments. 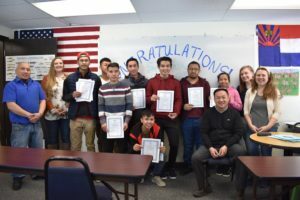 The Soldering Training Program held graduation ceremonies on the 8th and 12th of March to celebrate the 13 talented students who successfully completed the course this session. 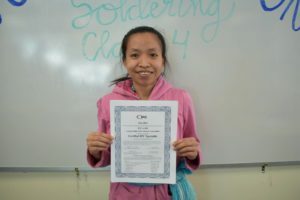 We had to hold two ceremonies because 5 of the 13 students couldn’t make it to the original planned ceremony — because they had already been hired for soldering jobs! 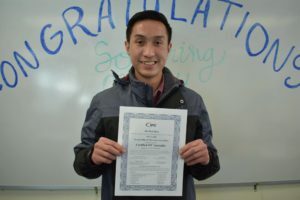 Another student has also been hired since then, and many of the rest are either interviewing for jobs or awaiting a decision after interviewing. 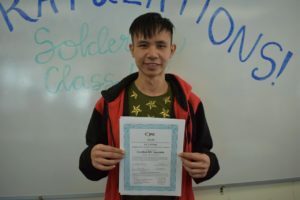 Our Soldering Training Program, offered in partnership with TSC Connect LLC and the Roseville Adult Learning Center, just started another session on April 1st, and will begin the third session of the year sometime in July. 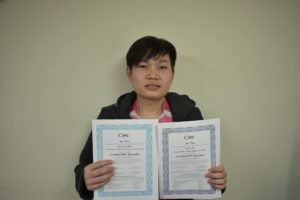 Our Career Advancement Training course held its graduation ceremony on the 2oth of this month. 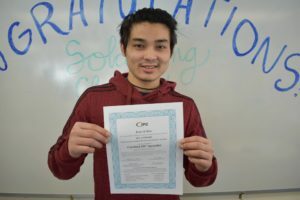 10 students graduated from this course, which helps participants build job-seeking skills like resume writing, networking, searching for jobs online, and interview techniques. 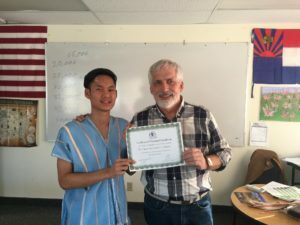 KOM proudly offers this 30-hour class in collaboration with Vietnamese Social Services. 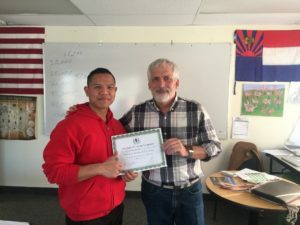 Another session of the class already started on April 1st, but we are planning a third session for sometime in May. 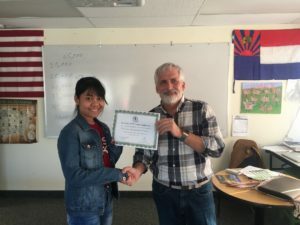 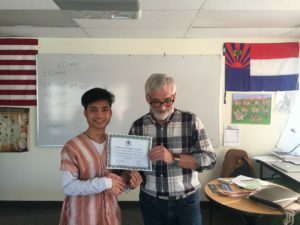 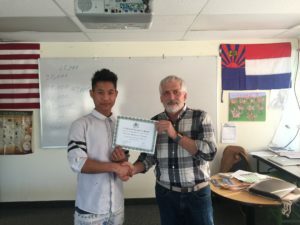 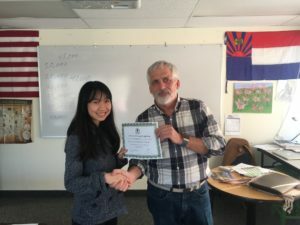 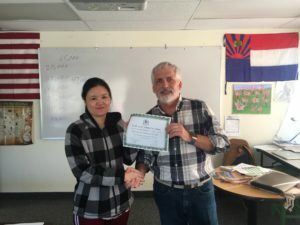 As always, we are grateful to our partner organizations for helping make these trainings happen — ta blut to TSC Connect LLC, the Roseville Adult Learning Center, and Vietnamese Social Services for their wonderful work and cooperation! 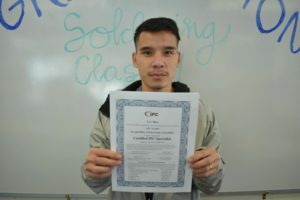 To learn more about the Soldering Training Program, contact Par Yei Say at psay@mnkaren.org / 651-202-3122. 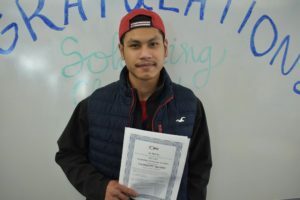 To learn more about our Career Advancement Training, contact Saw Poe Thay Doh at sdoh@mnkaren.org / 651-202-3129.